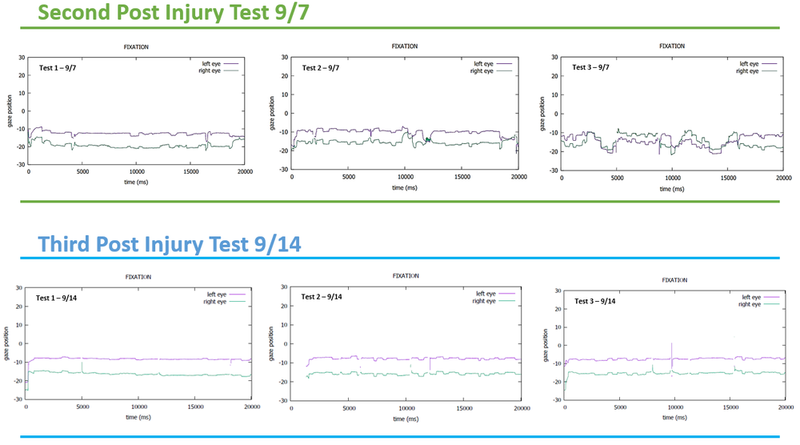 Saccadous is working with neurology clinics and college athletic training departments to identify an eye-movement signature for TBI. Because Saccadous measures involuntary eye movements, athletes cannot "sandbag" their baseline tests to lower the standard for return-to-play. The CDC estimates there are about 3.8 million sports related concussions annually. Our product is based on 10 years of research from the Visual Neuroscience Lab at Barrow Neurological Institute. The lab studied little eye movements called microsaccades. Your eyes are doing this right now -- drifting and correcting, drifting and correcting, a couple times a second, which is how they focus. It turns out that we can tell a lot about your health by studying these little tiny eye movements. One of those things is that we can tell if you’ve recently suffered a concussion. This is done with the use of a high-speed eye tracking camera in a Virtual Reality headset, just like the one you see in the photos on this website. We use it to record those movements, and what you get is a series of graphs that show what the eyes are doing while the player is looking at that dot. In August of 2017, we went to a small college and we did baseline testing on a sample of 100 college student athletes, to establish what their normal eye movements look like. 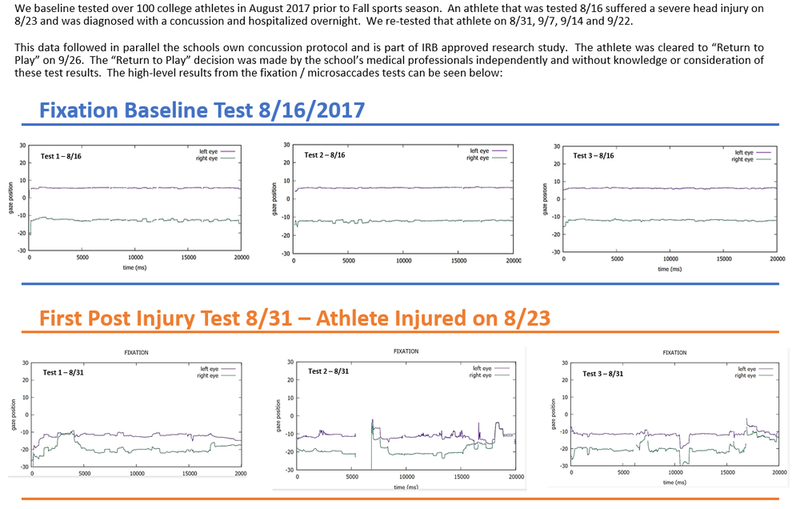 What appears below is a sample of two separate concussions that occurred to athletes where we had performed a baseline test prior to the season's start.